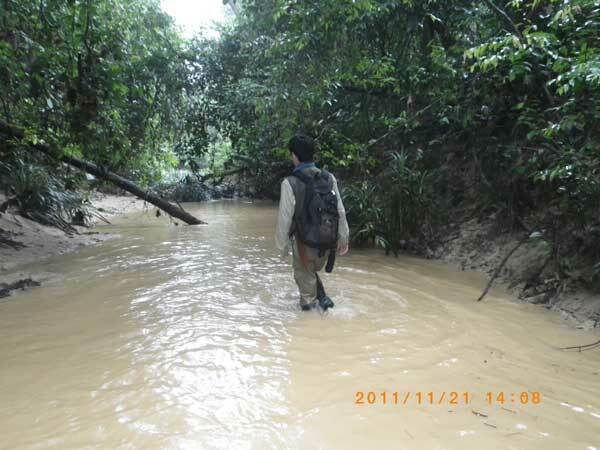 Research for ecology and ethology of otters in Borneo. I researched on otters in Kabili-Sepilok forest reserve. There are two species of otters, and I have found both of them in my research site. To record otter's behavior, I used camera traps with using video mode. 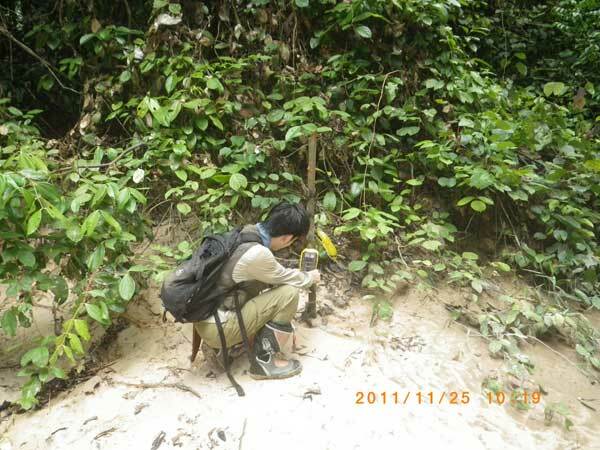 Set the camera traps close to their feces and succeeded to record their marking behavior. I got over 100 videos of Asiatic small-clawed otter and 20 videos of Smooth otter, and of course, I got many videos of other species. From now on, I will analyze these videos, and it will make it clear that how these otters use their feces to communicate with other individuals of same species, and with another species each other. 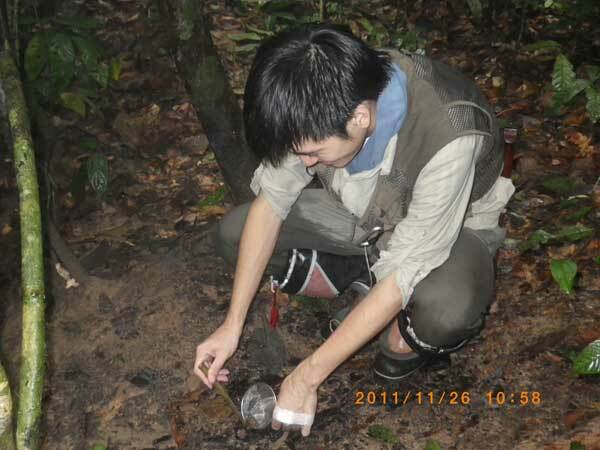 I also collected feces of Asiatic small clawed otter, and analyzed it. Anyway, now their feeding habitat is being cleared. All of their feces included many crabs, and sometime it included fish or shrimp, although this result is followed with previous study.